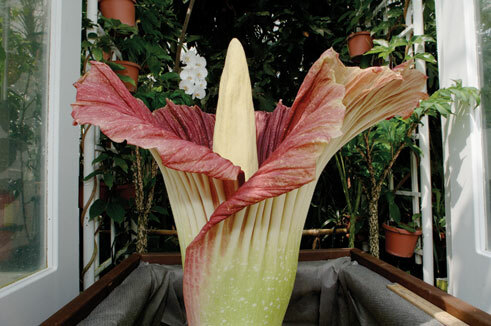 The Titan Arum, a rare plant also known as the “corpse flower” for its strong odor while flowering, was front-page news in local newspapers as it bloomed in Smith’s Lyman Conservatory for several days in early August. This was the first time the endangered plant has ever flowered in Massachusetts. Photo by Fish/Parham.